in EUR, EUR to GBP, GBP, GBP to EUR. The Pound Euro (GBP/EUR) exchange rate rose today and is currently trading around €1.1384 on the inter-bank market. Sterling (GBP) managed to gain on the Euro (EUR) after German year-on-year factory orders figures for December fell considerably below expectation by -7%. 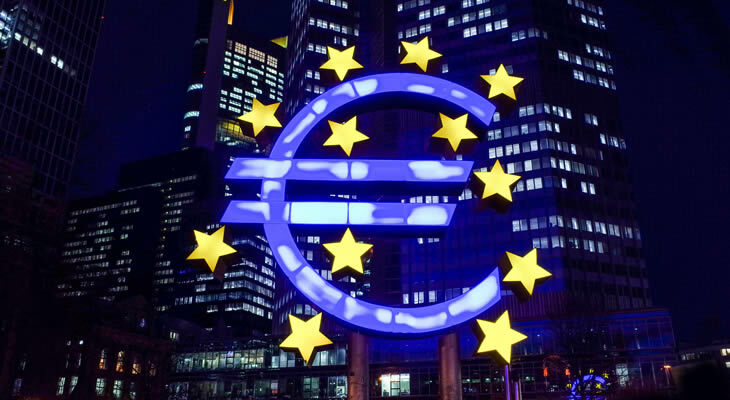 The Euro was also hit yesterday by poor PMI figures which further indicated signs of a slowing Eurozone economy and increasing a possible slip into recession. Chris Williamson, a director at IHS Markit, also commented yesterday that the ‘worst may be yet to come’, following Italy’s recent slump into a recession after poor GDP figures – further dampening market sentiment in the Euro. There are no UK economic data releases today, with many GDP traders focusing on Brexit developments as Prime Minister Theresa May concludes her second day in Northern Ireland. Today will also see the President of the European Council, Donald Tusk, respond to Theresa May’s demands regarding the Northern Irish backstop, which will likely see the Pound fluctuate if he indicates any reluctance for change on behalf of the EU. Most Pound traders, however, are looking ahead to tomorrow which will see the Bank of England (BoE) announce its interest rate decision, and after yesterday’s poor outcome of the UK services PMI, many traders are remaining cautious. GBP managed to gain on the suffering EUR today despite concerns arising about whether Theresa May will be able to secure a deal with the EU tomorrow when she meets EC President, Jean-Claude Juncker, to present her new Brexit demands. As the EU has previously stated that it is unwilling to renegotiate the Brexit deal, GBP traders are remaining cautious as fears of a no-deal are increasingly growing, with the EU and the UK diverging on the Irish backstop issue. EUR traders will be looking ahead to the publication of German industrial production figures for December tomorrow, which are expected to increase – possibly providing some uplift for the EUR/GBP exchange rate. Tomorrow will also see the publication of the French trade balance figures for December, which are expected to decrease. These will be followed by the printing of Italian retail sales figures for December. GBP traders will be bracing for the BoE’s interest rate decision tomorrow, and with any dovish comments made during the minutes about the state of the UK economy likely to see Sterling weaken. Meanwhile, news from Theresa May’s meeting with Jean-Claude Juncker tomorrow will determine the tone of the Brexit debate; any further indication of a potential no-deal situation is likely to see the GBP/EUR exchange rate plummet.